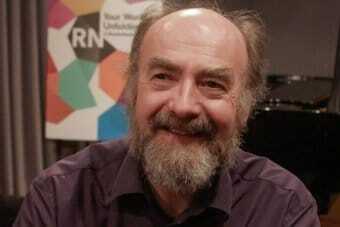 Fintan Vallely is a musician, writer, lecturer and researcher on Traditional music. From Co. Armagh, he has taught flute at the Willie Clancy summer school in Co. Clare since 1986, and in that year was the author of the first tutor for Irish flute. A commentator on Traditional music, he has been writing about it since 1990, and lecturing on it at the National University of Ireland, Maynooth, University of Ulster, Trinity College Dublin, Dundalk Institute of Technology and in the USA. He began to play Traditional music in the early 1960s, later studying horticulture at University College Dublin, then ethnomusicology at Queens University Belfast. He was The Irish Times' Traditional music correspondent and reviewer from 1994-2000, was columnist in that field with The Sunday Tribune 1996-2002, and was consultant editor for Traditional music to The Encyclopedia of Ireland (2003, ed. Brian Lalor). His published work includes The Blooming Meadows (a collaboration with musician Charlie Piggott and photographer Nutan, 1998), Together in Time (a biography of Antrim flute player John Kennedy, 2002), and a major reference work, the edited, A-Z Companion to Irish Traditional Music (1999). This book is being published in a new, greatly expanded edition in November, 2011, as is the new edition of his The Irish Flute Tutor. The writing also covers social and political issues in music, with Tuned Out – Traditional Music and Identity in Northern Ireland (2008) his main researched work; his satirical song collection - Sing Up! Irish Comic Songs and Satires for Every Occasion – takes this into the realm of humour (2008). He played full time in the 1970s and ‘80s, in the US, Scotland and England, and features on three CD albums - a solo recording Traditional Irish Flute Music (1979, 2008), with guitarist Mark Simos on The Starry Lane to Monaghan (1992, 2008), and Big Guns and Hairy Drums, satirical song with singer Tim Lyons (2002). He is a contributor to conferences and journals on Traditional music, and was one of the organisers of The Crossroads Conference series (1996 and 2003). His PhD research – Flute Routes to 21st Century Ireland- concerned the entry of the flute in Ireland, and his work since includes investigation of the origins of the bodhrán in Ireland. A lecturer on Irish traditional music, he has taught on programmes in NUI Maynooth, University of Ulster, DkIT and Trinity College Dublin. In July, 2011 his joint work Ben Lennon - The Tailor's Twist - Ben Lennon's Life in Traditional Music - done with photographer Nutan Jacques Piraprez and graphic designer Martin Gaffney - was launched. In November, 2011 the greatly expanded second edition of The Companion was published, and a website dedicated to its use was set up - comitm.com. In May, 2013 the papers from the 2003 Crossroads Conference were published, jointly edited by Fintan Vallely with Liz Doherty, Therese Smith, Desi Wilkinson, Eithne Vallely, Colette Moloney and Paul McGettrick. In November, 2013 the new edition of his flute tutor will be published as A Complete Guide to Learning the Irish Flute. See also the flute and music teaching, also academic profile, a list of books published and recordings made. Traditional-music books published by Whinstone Music.